NY-based digital agency reveals plans to become the leading global digital creative agency for fashion, beauty, luxury & lifestyle. NEW YORK, January 17, 2019	(Newswire.com) - ​​​​​New York-based Sweden Unlimited, the digital creative agency specializing in strategy, eCommerce and content for fashion, beauty and lifestyle brands has announced the opening of their first creative studio outside of the U.S., in the heart of London. Situated in Notting Hill, an area renowned for its style, charm, and vibrancy, the agency will now be serving the UK and European brands and retailers with their full-range of creative content and commerce services from the Sweden Unlimited London studio. This opening is the first step in an international expansion strategy backed by the Together Group. The global powerhouse for Digital Transformation, Incubation, eCommerce, and Growth acquired the Soho-based firm in July 2018 with the objective to grow Sweden Unlimited into a global leading creative digital agency for fashion, beauty, luxury & lifestyle brands and retailers. In order to accelerate the expansion, Together Group has acquired two of UK’s leading creative agencies in the fashion and luxury space, Skywire and Folk, and has integrated these agencies under the Sweden Unlimited London brand. They bring along their creative and customer-service teams, with years of experience in delivering world-class eCommerce and content solutions to brands within the fashion and luxury industry, including Bottega Veneta, Asprey, De Beers, Hermes, Hirsh London, Hackett, and Loewe. These highly accomplished creative and technical teams perfectly complement the Sweden Unlimited US team. More news on Sweden Unlimited’s international expansion will be revealed in the first half of 2019. 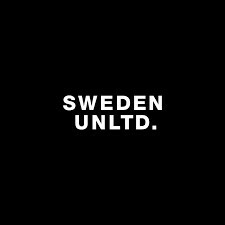 Sweden Unlimited is a digital creative agency based in New York City, specializing in strategy, design & technology for fashion and lifestyle brands. Founded in 1999 by Richard Agerbeek and twin sisters Alex and Leja Kress, Sweden Unlimited has distinguished itself through collaborations with clients such as Kate Spade, W Hotels, Akris, Estee Lauder, and Hauser & Wirth. Established in 2001, Sweden Unlimited is a digital agency that creates content and e-commerce platforms for top fashion, luxury, and lifestyle brands.